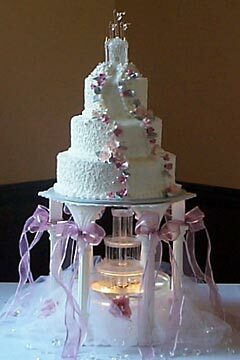 Water fountain wedding cakes are a truly unforgetable feature of your dream wedding. Small water features help make up the wedding cake fountain. In many cultures around the world, waterfalls are regarded as sacred sites. The effect upon people who enter these places is always one of wonder at the power and grace of nature. It is as though, these places are specially touched by God. With most of us, the mere sound of water trickling induces feelings of peace. What's more a fountain cake isn't as difficult to achieve as you might think. 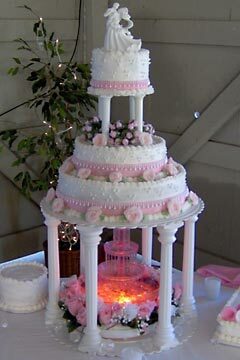 With just a little research, it is possible to find water fountains to transform your cake and centerpiece. 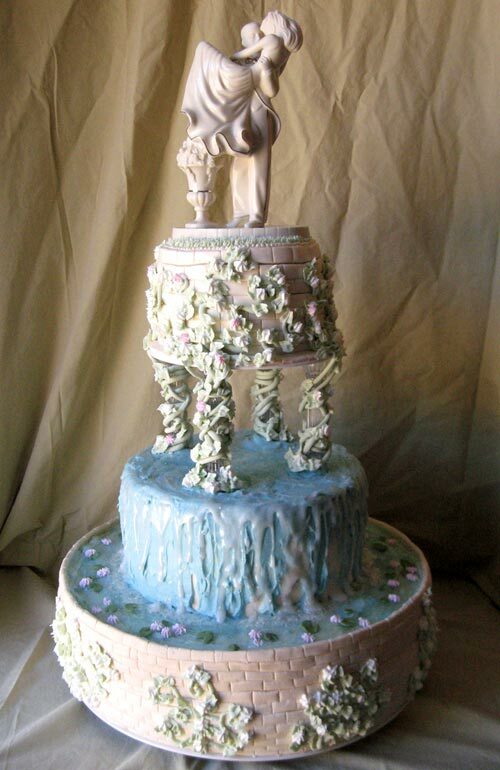 If it's too much to think about, it is possible to get an amazing fountain wedding cake top. 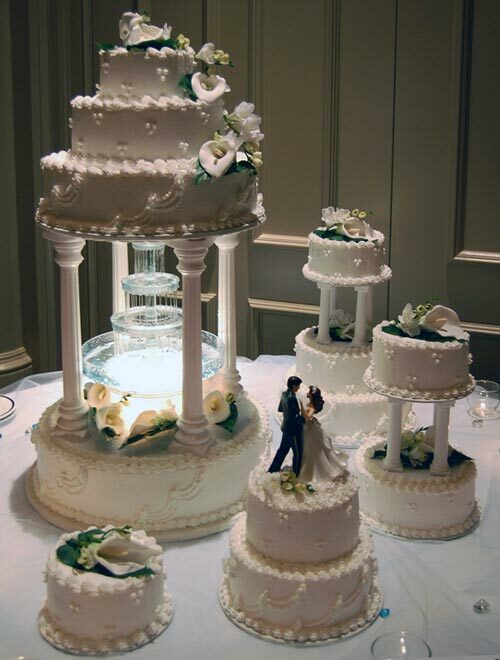 Enjoy these amazing pictures and just imagine, how much better these amazing cakes would be on your wedding table.